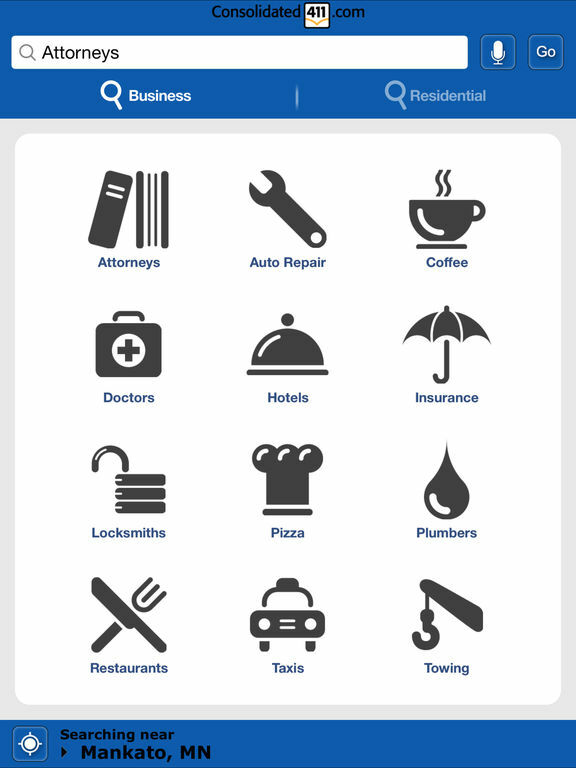 The Consolidated411 app will search the Yellow Pages for businesses in your area or any city nationwide. Access business addresses, phone numbers, websites, email, ads, coupons and other enhanced listing data of our participating yellow page publishers. Sort by distance to find the closest results or sort by relevance of your search term. 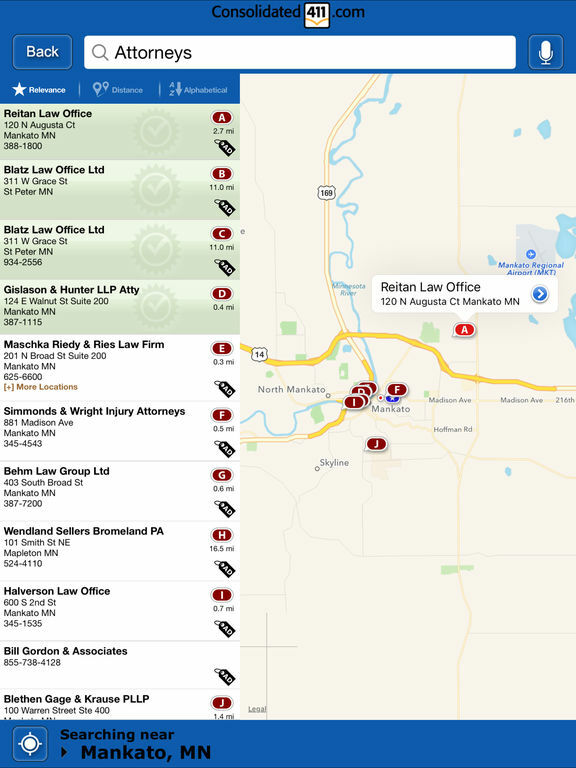 View results in a list view or toggle through results on a map. 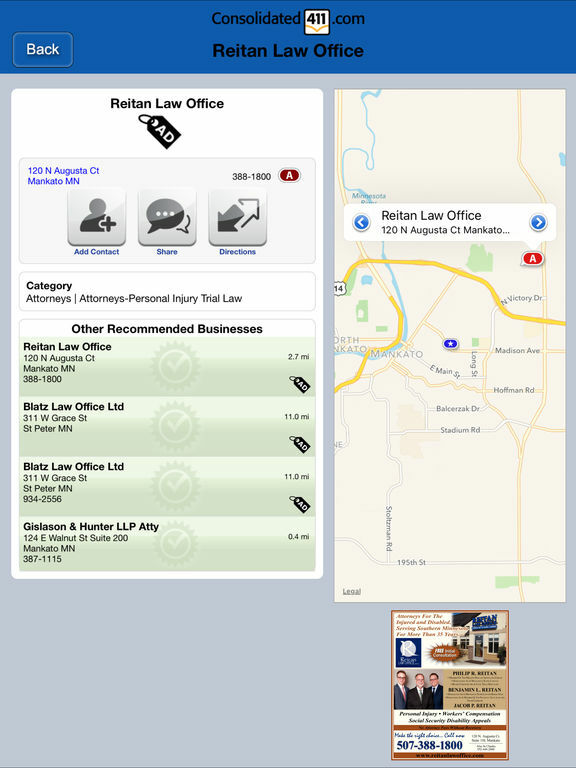 Zoom and scroll features in the map view allow users to find results in any area. 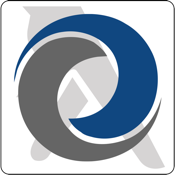 Easily find local businesses anywhere in the United States with this iPhone/IPad Application.